The Candidates who are looking for the TNEB TANGEDCO AE Result 2019 can check this article. Along with the TANGEDCO AE Exam Results, you guys can also refer the Cutoff Marks, TANGEDCO AE Merit List, Rank Card from this post. So, we suggest the contenders check this post for all the latest information. Accordingly, as per the notice, the official tangedco.gov.in AE Results were planned to release in the month of February 2019. Also, more than 80,000 Engineering graduates had taken this competitive written exam which is conducted on 30th December 2018, and they are eagerly waiting for their TNEB TANGEDCO Result for Assistant Engineer Post. With this in mind, the candidates should calculate their TANGEDCO AE Cut Off Marks, by referring the information given at the bottom of the page. As you all know there are Tamil Nadu Generation and Distribution Corporation Limited is recruiting 325 Assistant Engineers this year. All the candidates attempted the Exam with 100% effort. Now its crucial time for them i.e., waiting for the TANGEDCO AE Exam Results. Before getting TNEB TANGEDCO AE Result 2019, you need to check TANGEDCO AE Cut Off Marks, and Merit List which is provided in the below sections. The contenders who clashed the Written test for the Assistant Engineer post, need to wait some more days for the Exam Results. 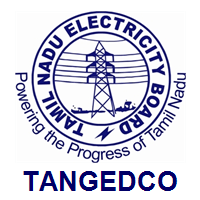 Usually, the Tamil Nadu Electricity Board releases the TANGEDCO AE Exam Results 4 weeks after the examination. So, as expected they were releasing the Exam results in the month of February 2019. So, meanwhile, you need to prepare for the further interview process. Also, the details of cut off marks and merit list are given in the next sections. Scroll down to refer them. The Officials of the Tamil Nadu Generation and Distribution Corporation Limited AND Tamil Nadu Electricity Board are preparing the cut off marks by analyzing the number of seats, the number of candidates attempted the exam, based on category, previous year cut off marks, etc. Moreover, In any exam, cut off marks plays a vital role in removing the scrap. Down Here, we had given the details of the TANGEDCO AE Cut Off Marks. As you all know, qualifying in the Entrance Exam is very important to attain any role. To get placed, you need to know the result. For that, you can check from the official site tangedco.gov.in AE Results details. The Officials of Tamil Nadu Electricity Board notified that they will release the Merit List along with the TANGEDCO AE Exam Results. The candidate who secured highest marks will be given in the merit list pdf, that you can check in the official website only. Then, you need to log in with the username and password. After logging in, you will see the Home Page. Search for the TANGEDCO AE Exam Results link. Next, you will ask for the details to be filled, fill the details required. Recheck before submitting whether they are correct or not. Then, you will be redirected to the new page, there appears your TNEB TANGEDCO AE Result 2019. Download it and keep it safe for further reference. Also, print it out for the next process. Hope, you were happy with the clear details given in this post about TNEB TANGEDCO AE Result 2019. Likewise, you can check similar Results from our Freshers Now in an easy way, because we provide complete information as well as the valid links. Keep in touch with us for other updates.